These are photos from the senior and junior ladies' events in Kansas City. Senior ladies' medalists were Karen Chen, Ashley Wagner, Mariah Bell, and Mirai Nagasu. Please do not reproduce these photos. 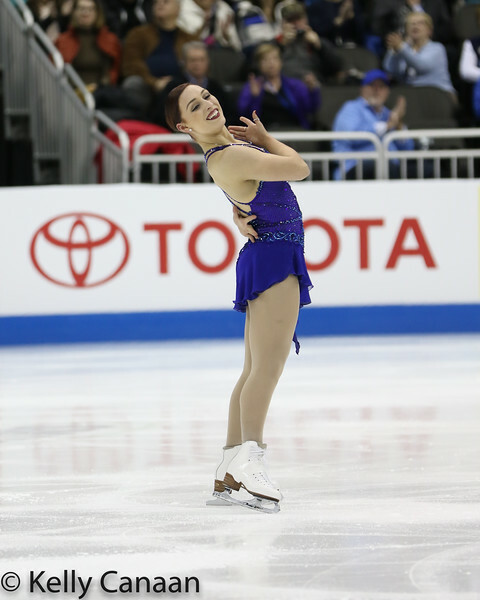 Courtney Hicks appears pleased with her free skate performance in Kansas City!